March is the peak season for great foods like cauliflower, carrots, cabbages, artichokes, and oranges. And with spring just beginning, more tasty edibles are sure to follow. Even if you don’t care for “rabbit food,” nearby vendors still offer other delicious foodstuffs like bread, cheese, soda, grains, honey and nuts. 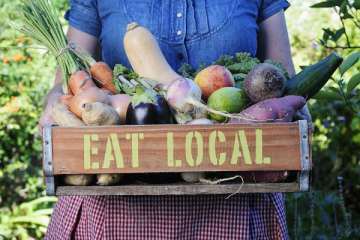 Eating locally also gives one a whole catch of health benefits. Food that travels less retains more of its nutrients and reduces the chance of bacterial contamination. And with E. coli and salmonella outbreaks becoming more common, knowing the exact county your produce comes from will give you more peace of mind (unless the outbreak has reached that area, in which case contact your produce provider right away). 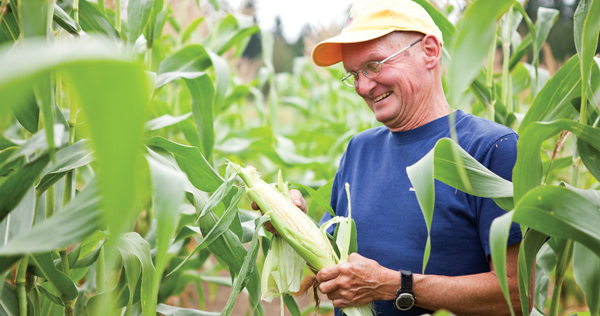 If nothing else, attempting to eat local food offers a great way to add variety to your diet. The most exciting way to support local growers is to visit the nearby markets, which usually overflow with delicious Seattle-based food. Ballard and Fremont have their weekly Sunday markets year-round, and Queen Anne hosts a seasonal farmer’s market that is starting up again June 6th. The Madrona Farmers Market on Martin Luther King Jr. Way and Union St. also begins its run May 18th. And of course Pike Place Market offers an exciting, interactive place buy regional products while sampling Honeycrisp apples, Marketspice tea, and chocolate pasta. Once July rolls around, look for the “Oh My God” peaches; they are the best that I have ever tasted, and grown within 30 miles of their stall. Another easy way to support local growers is by shopping at grocery stores that purchase their supplies from local farms and vendors. Luckily, Seattle contains many such stores: Whole Foods, PCC, the Metropolitan Market. Though these can get a bit pricier than other grocery outlets, they come with a strong history of supporting local merchants with ethical practices. Other small Seattle-based food companies offer tasty fare as well. These include Macrina Bakery, The Essential Baking Company, and Theo Chocolates – all of which are within walking distance of SPU. If you don’t have time for shopping, there are even organic organizations that deliver fresh, seasonal produce to your doorstep. To learn more about your options for eating locally, click here for a comprehensive list of nearby markets, farms, and delivery companies.